Sahar > Causes > Boarding School > Build a Boarding School! You are donating to: Build a Boarding School! Since 2001, Sahar has worked in Afghanistan, building and repairing schools, as well as creating impactful educational programs. 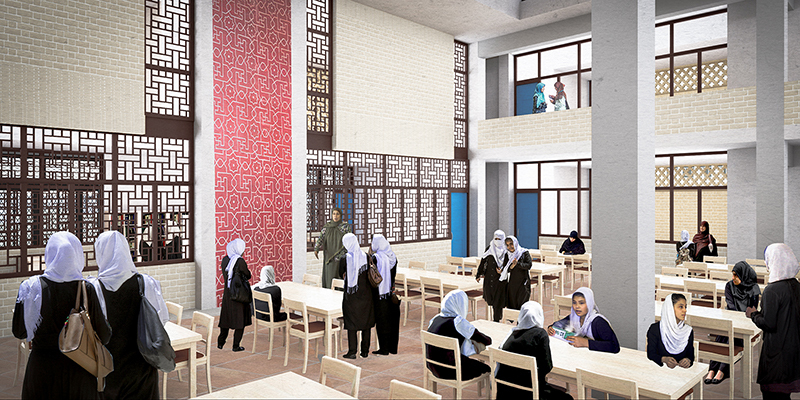 With a recent large school project completed, Sahar has another opportunity to work with the Afghanistan Ministry of Education(MOE) to develop additional innovative solutions for the ongoing educational challenges in the country. During the Taliban rule, most girls’ schools throughout Afghanistan were shut down and destroyed. Despite the hard work of the Afghan government, the demand for schools still outpaces the nation’s rebuilding efforts. The Afghan government is working with numerous aid organizations like Sahar to meet this demand. An additional challenge has been providing opportunities for girls in rural areas to go to school after the age of 11 or 12. At this age, many Afghan families will not allow their daughters to continue at school unless their teachers are female. Most rural teachers are male, so the drop-out rate at this age is very high. Additionally, simply getting to and from school in a rural area can be a very dangerous trip – and another reason why girls are kept home from school. Sahar, working closely with the Afghan MOE, Seattle-based architecture firm Miller Hull and the University of Washington School of Architecture, is creating a sustainably-designed solution to help many rural families seeking a safer educational option in the Balkh Province; utilize an existing school site and add a boarding school component. Join us today and provide more Afghan girls a safe education option!